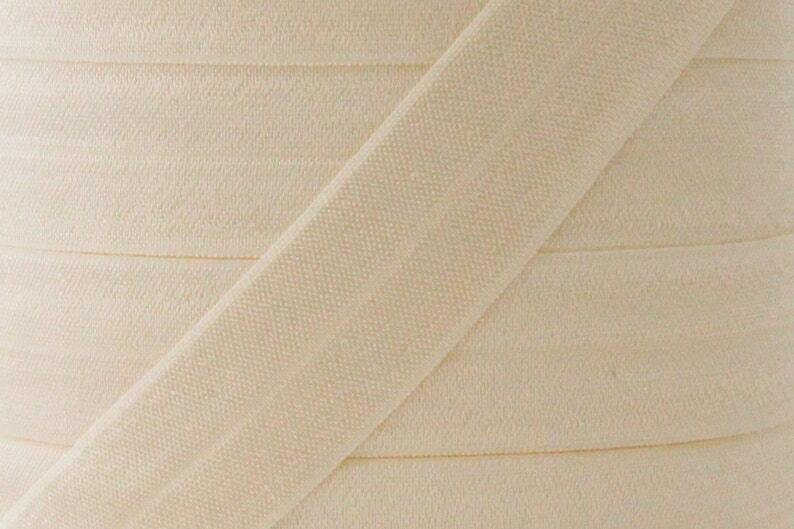 Large wide size 1 inch fold over elastic. 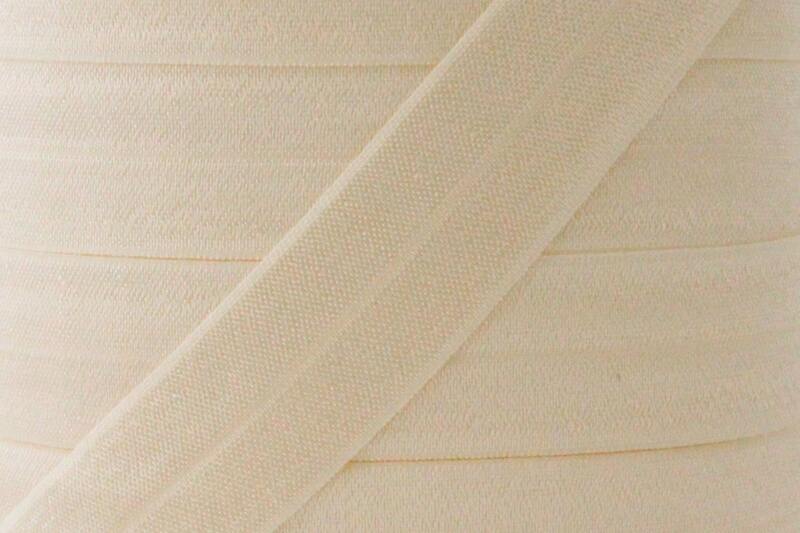 5 yards of soft and shiny fold over elastic (FOE) in Ivory. It arrived quickly and was exactly what I was looking for. This fold over elastic was perfect for the bra I made. Speedy shipping and good price.